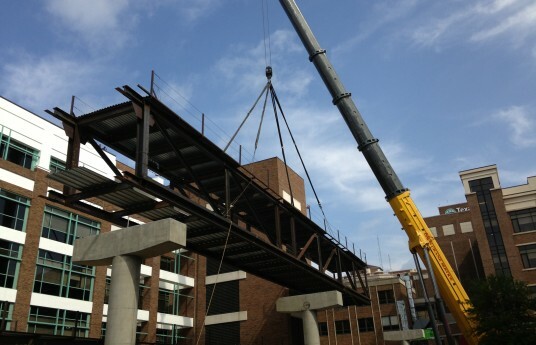 Comments: Completed in 2013, this project included structural and miscellaneous steel in a new free standing building at Harris Methodist Fort Worth with a 370’ structural steel pedestrian bridge. 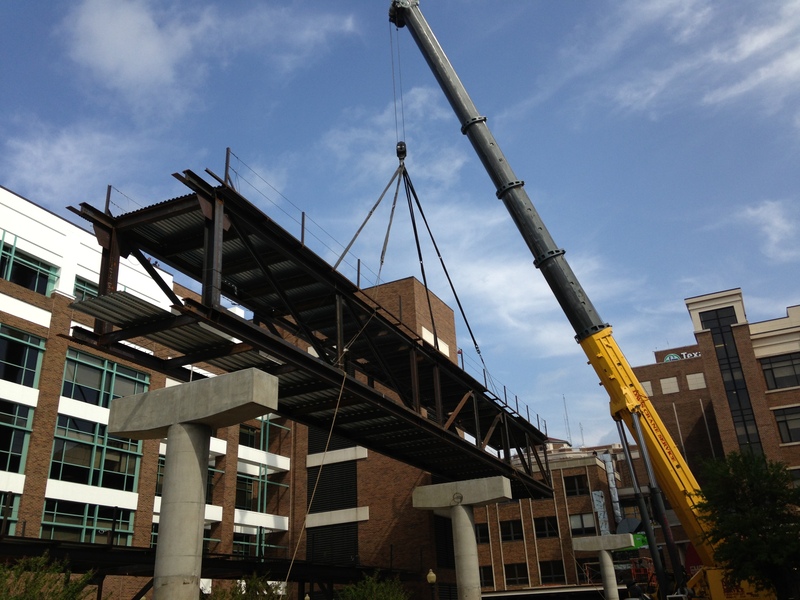 The bridge tied in from the new structure on one end to the existing hospital on the other. The emergency room entrance was directly adjacent to the crane setup for the bridge, which could not be closed. 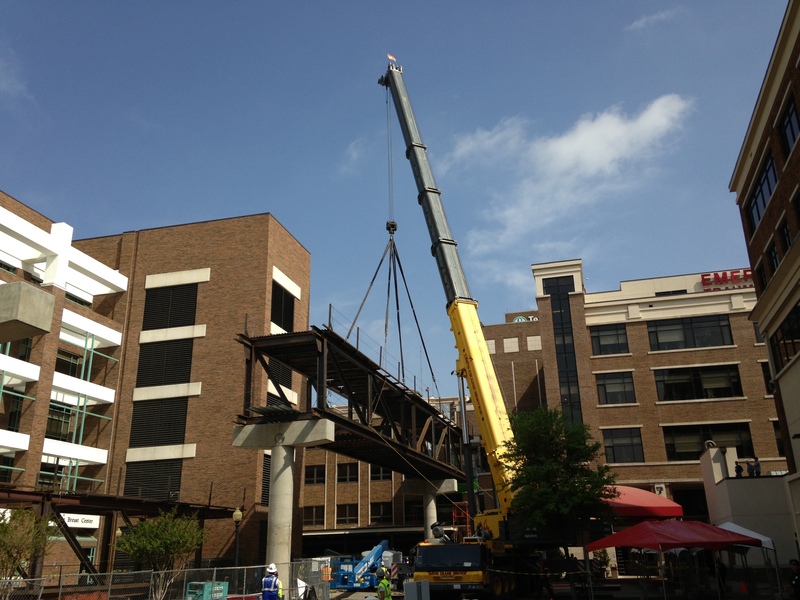 Close coordination between the GC, hospital, and us allowed this bridge to be erected with no disruption to the existing facility.